Faunapark Frýdek-Místek a Architektura Moravskoslezského kraje pořádají druhou sérii veřejných přednášek Architektura: Věc veřejná. Akce se bude konat ve Faunaparku Frýdek-Místek v pátek 27. dubna od 17 do 21 hodin a pozvání přijali místecký rodák Marek Jan Štěpán, bratislavský ateliér Gut Gut a zástupci nejmladší generace architektů ze studia Malý Chmel. The new sports hall in Dolní Břežany is no ordinary school gym. Administratively still a part of the local elementary school, but also used by the public for sports and social events. It’s recognized as a new, key venue for the town's social life, but it’s located on the very edge of the current development, overlooking the surrounding fields. Attracting attention with its unmistakable shape and expression; but also reflecting the surroundings and sometimes blending with them due to its brushed aluminum shell. Compact on the outside, spacious inside. Magic, maybe? Ve středu 28. března se v Clarion Congress Hotel Prague koná 11. národní konference ČKLOP – České komory lehkých obvodových plášťů – s mottem „Nečekejme na budoucnost“. O současné budoucnosti budou hovořit osobnosti české a světové architektury a odborníci z oboru opláštění budov. Jako hlavní host přijala pozvání architektka Eva Le Peutrec. A two-stage competition for the creation of Charles University Campus in Albertov was launched approximately two and a half years ago and evaluated one and a half years ago. Eight years ago, a large Masaryk University Campus in Brno-Bohunice was finished. Both constructions more or less fulfill a vision that is almost a hundred years old: To build a site for the two most important universities that would concentrate education, creative work, communal life, catering, the sport and leisure time of academics and students in one place. 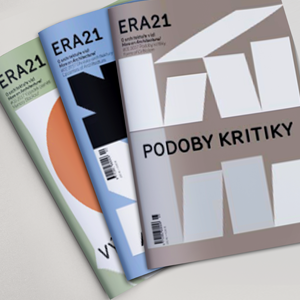 A new issue of ERA21 #01/2018 will appear soon. In collaboration with the historian of architecture and curator Ladislav Zikmund-Lender we have focused on the theme of PLACE OF KOWLEDGE. 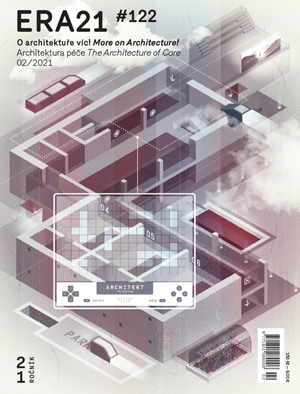 Moreover, in 2018 we will have a new graphic conception of covers by Josef Čevora from Mixage studio.